Islamic Ummah holds celebrations on Imam Khomeini’s death anniversary; many foreign guests attend. Imam Khomeini, the founder of Islamic Revolution of Iran, passed away on June 4, 1989. 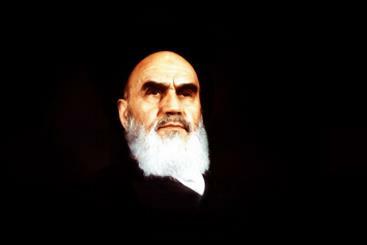 He founded the Islamic Revolution in Iran in 1979 with a massive support of Iranians. A large number of people and officials annually gather at Imam Khomeini’s shrine in the south of Tehran for a commemoration ceremony. Millions of Iranians from around the country travel, some on foot, to pay tribute to the late architect of the Revolution. Leader of the Islamic Revolution Ayatollah Sayed Ali Khamenei, who was elected the Leader of the Islamic Revolution by Iran’s Assembly of Experts will be the chief speaker in the gathering this year. Also Iran’s president of the time, Dr Rouhani will give a speech on the occasion. Imam Khomeini’s grandson, who is Reverend Custodian of Imam Khomeini’s shrine, Hojjatoleslam Sayed Hassan Khomeini, also delivers a speech during the ceremony every year.